Do not over-emphasizes tax planning. No one wants to make money and send it all to Washington, D.C. 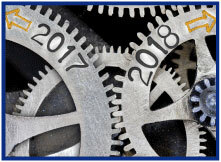 However, if a company has had a profitable year and wants to continue growing with contracts that require bonds, they need to balance their tax planning against the other goals of the company. Reducing taxable income means reducing the net income that otherwise can be used to show profitability and equity growth on the company's financial statements. Independent agents represent a "significant growth engine" for insurers that understand how to build strong relationships with their distribution force, according to a new J.D. Power study. But there is room for improvement in the agent-carrier relationship. Read the full story in IA magazine. As a Big "I" member, you can secure professional liability insurance for your agency through the Big "I" Professional Liability program. Many Big "I" Markets agents do just that! We insure approximately 2/3 of Big "I" member agencies. That's why the Big "I" Markets staff wanted to take a moment to share this risk management resource round up with you. Swiss Re Corporate Solutions and Big "I" Professional Liability work hard to ensure the most cutting-edge risk management information is available to policyholders. Please review the links below to see what is offered. If you're not yet part of our program, your dedicated state program manager would be happy to offer you a proposal. Contact your state association or request a premium estimate today. A review of your agency operations is available. Voluntary completion of this review may qualify you for a 10% E&O premium credit good for five years on the next renewal. (Fee-based) Keep ahead of the curve - visit www.iiaba.net/EOhappens to stay plugged in with Big "I" Professional Liability risk management! Surplus Lines: Do You Know what Independently Procured Coverage Is? 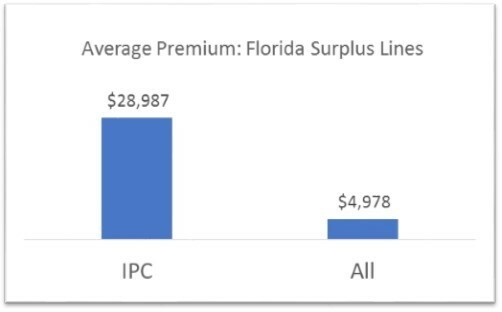 Many of you probably access surplus lines coverages when the normal coverage channels cannot meet the need of a particular insured (distressed risk, unique coverage or very high limits are needed). What many agents don't realize is that an agent using a licensed surplus lines wholesaler, MGA or program manager is not the only way insureds can access non-admitted insurance coverage. An approach, known independently procured coverage (IPC) is possible. IPC takes place when an insured/risk manager goes to an unauthorized insurer either directly or through a broker not licensed by the jurisdiction in which the risk is located. So how often does this happen? To get the answer I turned to one of the leading states for surplus lines placements in the nation, Florida and the Florida Surplus Lines Service Office (FSLSO). FSLSO does a fantastic job of collecting data and making it public on the taxes and fees they collect. The most recent data from Florida assembled in a easily accessible report is 2016. It turns out that, based on 2016 4Q, IPC does not happen very often. About one-tenth of one-percent of Surplus Lines transactions are carried out by an insured on their own. That is about 1,300 times in Florida in 2016 compared with nearly 1,000,000 total policies that year. As you can see below, the average premium of IPC transactions, however, is nearly six-times higher than the average Florida surplus lines transaction. Extra Credit: Taxes? If you are wondering if insureds that "go direct" somehow escape taxes on the transaction, they do not. IPC transactions pay the same 5% surplus lines taxes and associated fees as do transactions executed with the advice and counsel of an independent agent and licensed surplus lines intermediary. IPC taxes, however, are owed by the insured and filed and paid directly. And did you know if they don't pay up they can get caught? FSLSO compares reports by authorized surplus lines insurers in the state against receipts just like the IRS can look at From 1099 to see if a contract paid taxes on that income. Congratulations to our agent in North Carolina on an Affluent Homeowners sale of $9,365 in premium!